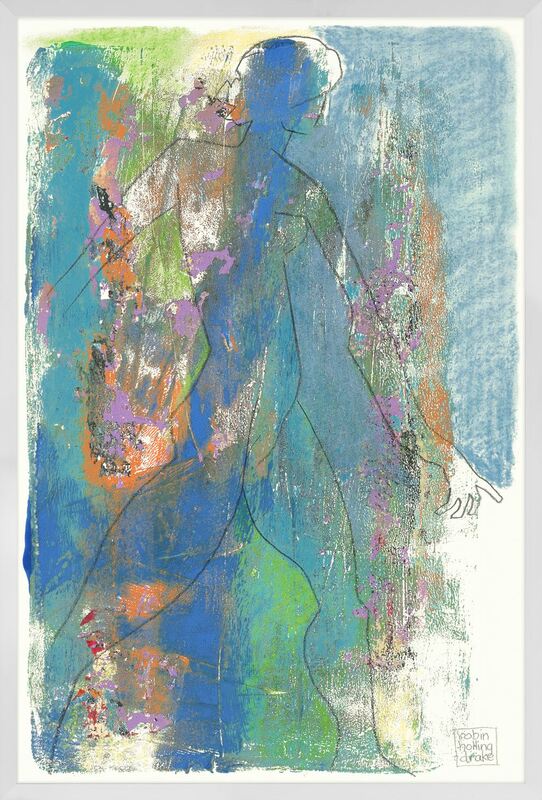 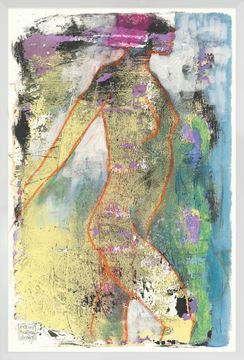 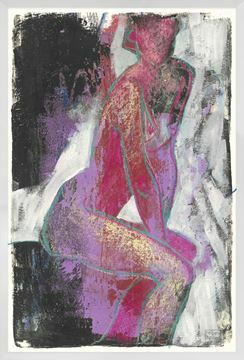 Strong shapes and multi layered colour fields with figure drawings. Strong shapes and multi layered colour fields unfold to reveal intriguing figure drawings in Hollingdrake’s recent work on paper. Hollingdrake excels at capturing the human figure in brief contour drawings and then layering them on multi-textured and coloured grounds.